Last Friday night we started a new tradition for our family: eating at Philippes before going to the Dodger game. 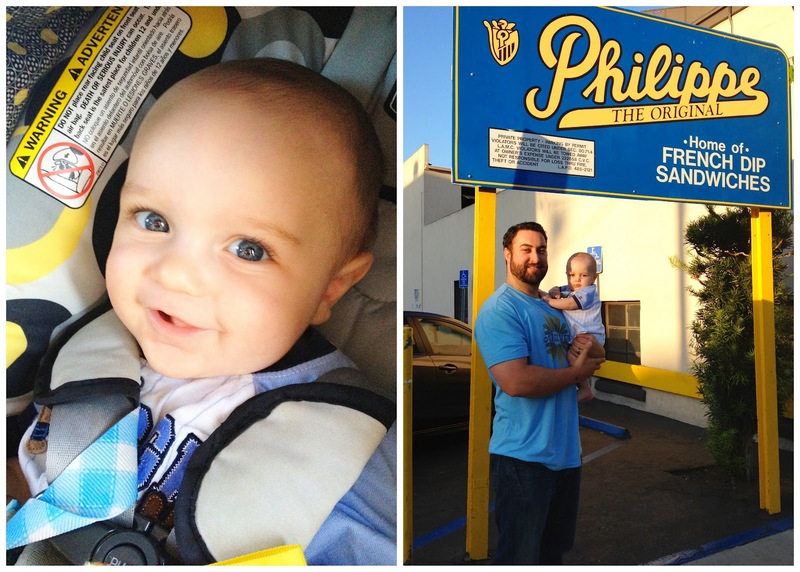 We've loved going to Philippes for some time now, but haven't gone since Hudson was born so it was really nice doing it again. It felt like old times, but even better with Hudson in tow. 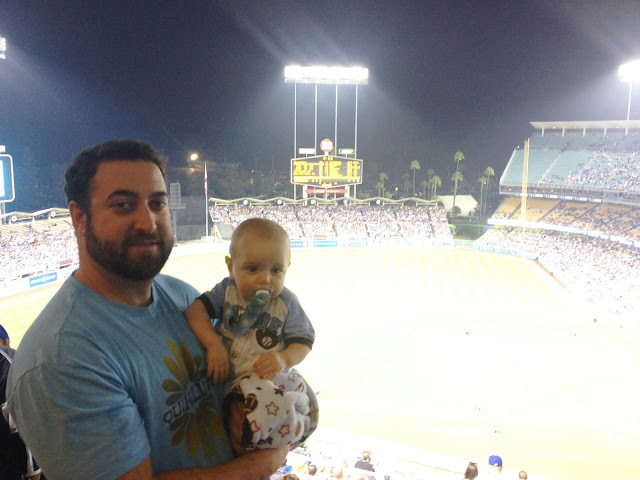 Hudson was excited for his first baseball game, but the night was almost ruined by an awful accident on the 5 fwy, but thanks to Nathan's intuition and amazing knowledge of LA's side streets we were able to get off the 5 and jet over to the 2 fwy with little time waisted. 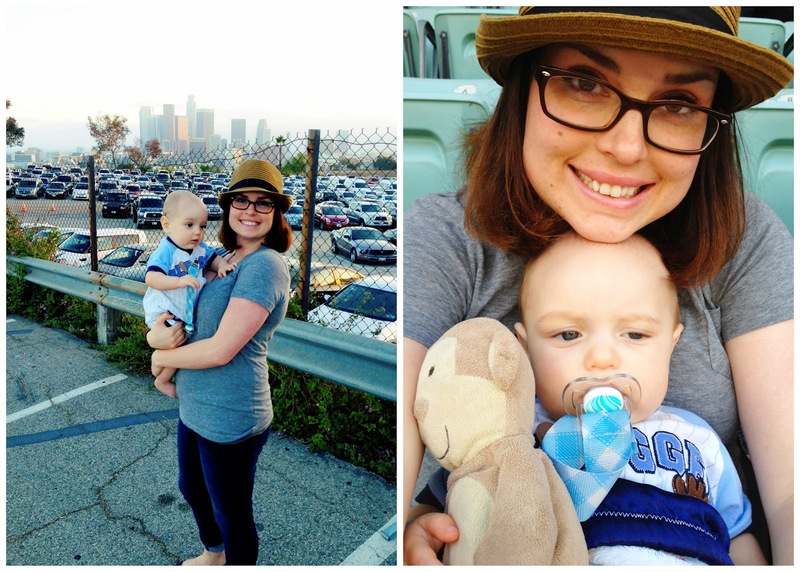 We grabbed dinner before the game along with many other Dodger fans. The beef dip sandwich, Frittos (shared with Nathan), and Coke were just what I'd been missing. 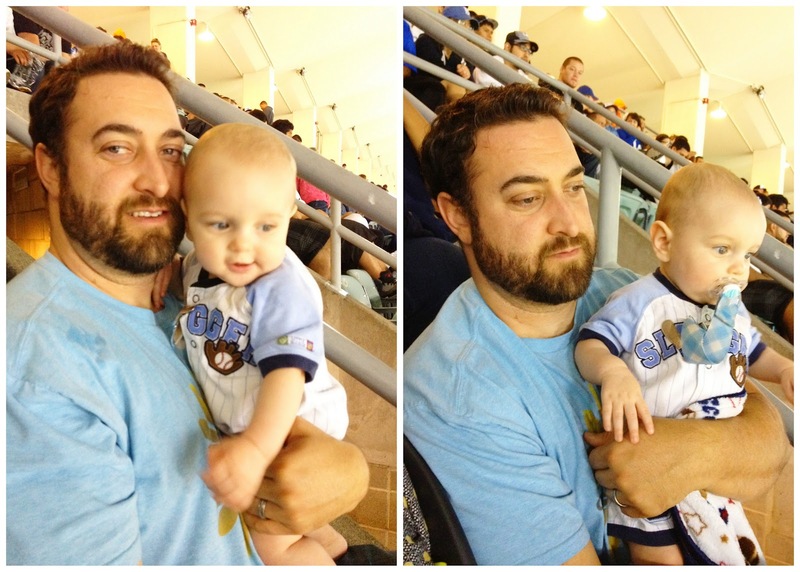 Hudson did such a god job considering the fact that game started at his bedtime. 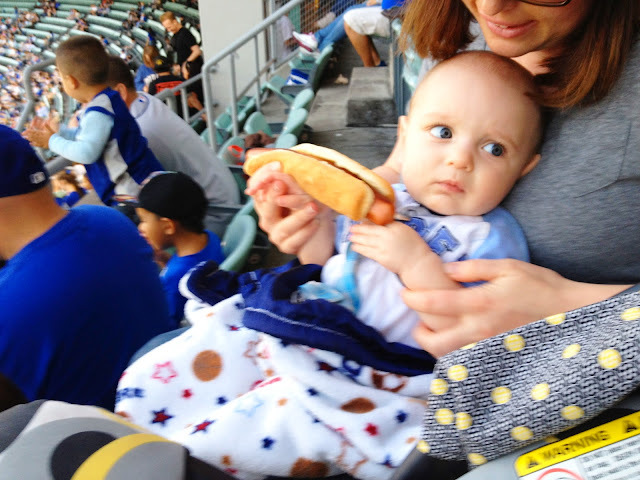 He looked around at everything in awe, except the Dodger Dogs, he wasn't a fan of those. Family outings are the best! His face is so focused on the game, not the hot dog!